This recipe is free: gluten free, dairy free, grain free, and hassle free. Chia seeds are the star of the show. Two tablespoons of this food of the ancient Aztec people packs in 5 grams of omega 3 fatty acids and 11 grams of fiber. They also contain essential minerals including iron, calcium, magnesium, and zinc. Stir all ingredients together in a container with a tight sealing lid. Be sure to mix well. Allow to sit in your refrigerator for 2-4 hours or overnight. 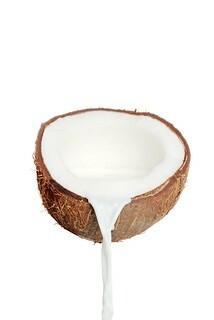 As the mixture sits, the chia seeds will absorb water from the coconut milk forming a gel that will thicken the mixture. I would like to thank you for the efforts you have put in writing this web site. I’m hoping the same high-grade site post from you in the future also. Actually your creative writing abilities has inspired me to get my own site going now. Actually blogging is spreading its wings and growing rapidly. Your write up is a great example.